They are the investment companies everyone wants to know about – and to sell to. 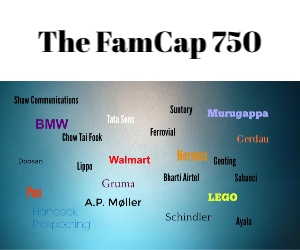 Yet, most of the world – and those who want to sell to them – know very little about family offices. Here are five predictions about them. Even if only one of two of these come true, that will make them even more desirable. As Family Capital said back in March, the actual number of single family offices is likely to be much higher than many think – as many as 10,000, possibly even more. If the numbers of the super rich continue to grow at a rate faster than any other segment of society, as has been the case for much of the last 20 years, then the number of family offices will continue to grow strongly as well. By 2020, expect their numbers to be approaching 20,000. The US is the gold standard for single family offices. This is where they started and have evolved most. Over the years in America they have become more transparent. The investment world knows them and they aren’t too concerned about being known. That’s because they are driven by investments, not tax avoidance/evasion. In Europe, they have traditionally been much more about tax planning. But as governments crackdown further on tax loopholes and offshore centres, European family offices will concentrate more on investments like their US counterparts and won’t be so hung-up about secrecy. Yes, their numbers are increasing fast, but in many countries in the Middle East, Asia and Latin America wealth owners have been reluctant to set them up. In these countries, operational businesses are still viewed as the best way of securing family fortunes across generations. That attitude is likely to be slow to change. If the family/entrepreneur made their money making widgets in a small town in Germany then the family office investment strategy is likely to be driven by direct investing in similar businesses. Likewise, if the money was made by hedge funds then the family office is more likely to be interested in alternative investments and indirect investments. Of course, there is always likely to be a pot of money set aside for non-familiar investments, but for the most part, family offices will be very much influenced by how the original money was made. Family offices aren’t like family businesses, which often last for more than a few generations. They are likely to be set up by one individual with the family playing a secondary role. If only 10% of family businesses make it through to the third generation, the figure is even lower for family offices. There will be exceptions, but many will either morph into multi-family offices like Fleming Family & Partners, Rockefeller & Co, and Pitcairn – or cease to exist altogether like the Guinness family office.